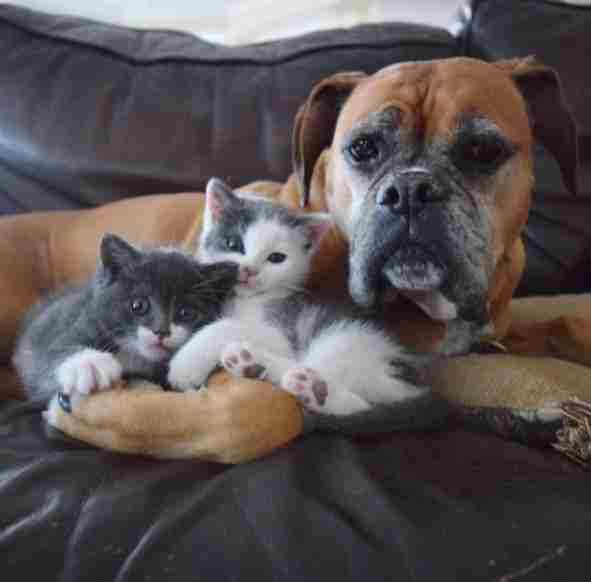 "I have had kittens that like her more than they like me!" 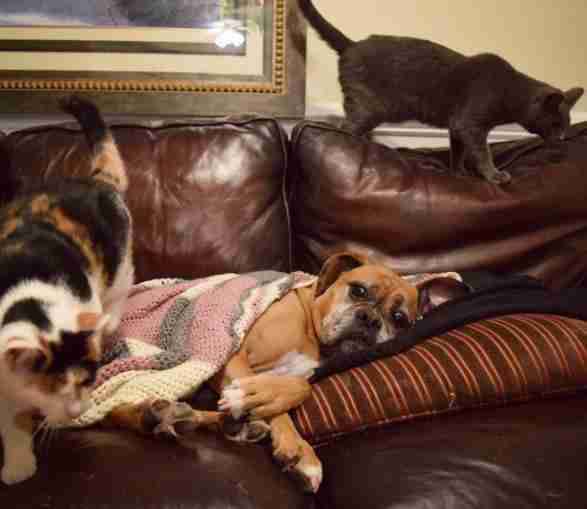 For most of her life, Suzie the boxer has been surrounded by foster kittens. 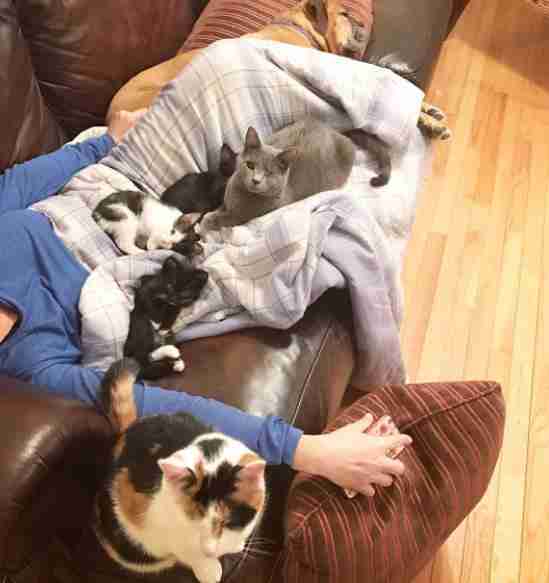 Suzie's mom, Kelly Hartman, is an avid foster for local shelters, and is often bringing home tiny kittens in need - and 7-year-old Suzie cares for each one as if they were her own puppies. "When she sees the cat carrier she knows exactly what it is," Hartman told The Dodo. 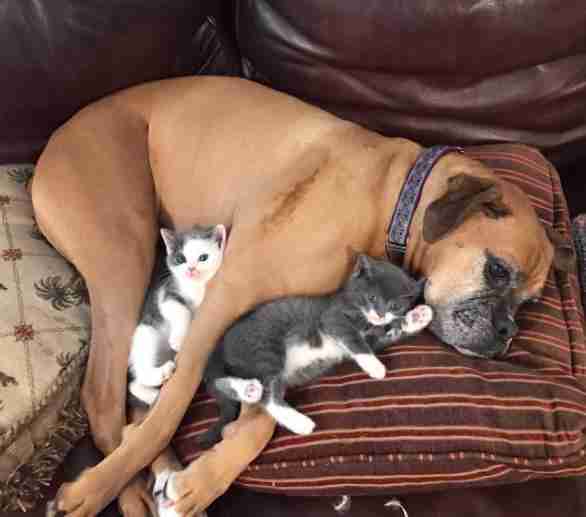 "The kittens typically are pretty comfortable with her within 24 hours, but sometimes it takes longer. 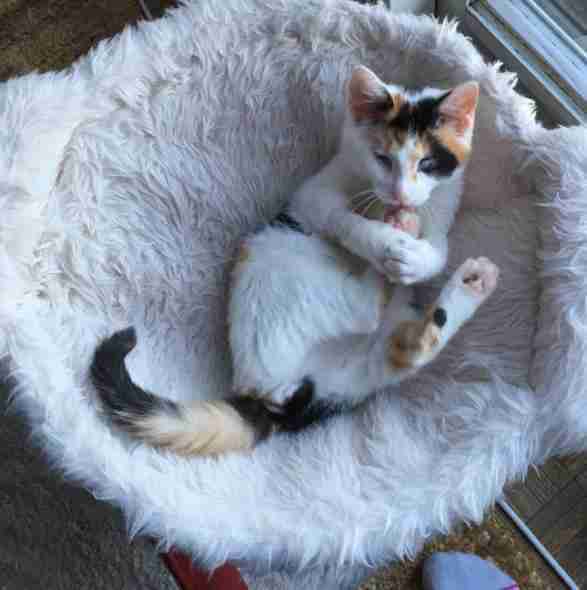 I have had kittens that like her more than they like me!" Eventually, however, the kittens get adopted and must leave to go to their forever homes. So Hartman, after seeing how much Suzie loved and cared for the kittens she brought home, decided one of them should stay - a one-eyed cat named Kushi. When Kushi first arrived at Hartman's home over a year ago, one of his eyeballs was gigantic and infected due to untreated illness, and eventually had to be removed. 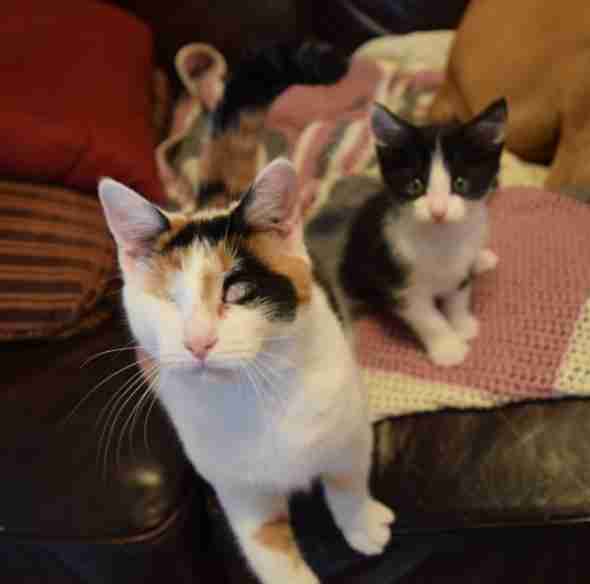 The little one-eyed cat got along great with Suzie, and Hartman quickly found herself falling in love with him. When it was time for him to go back to the shelter to find a home, Hartman just couldn't stop thinking about him. "I was so sure I would never be a foster failure," Hartman said. "Eventually, I found someone who helped me get Kushi the treatment he needed for his eye, and she also convinced me that he was already home, that he would be the one who got away if I let him go, and she was right. He's my perfect cat." 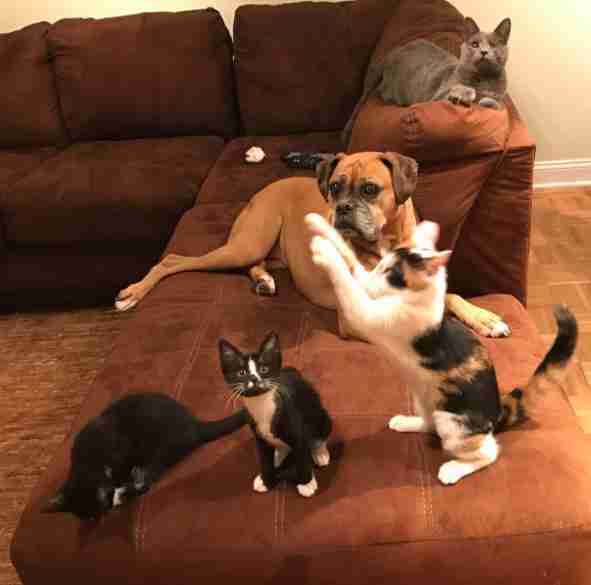 As soon as he became a member of the family, Kushi followed Suzie's example and began caring for each new foster kitten who passed through Hartman's home. 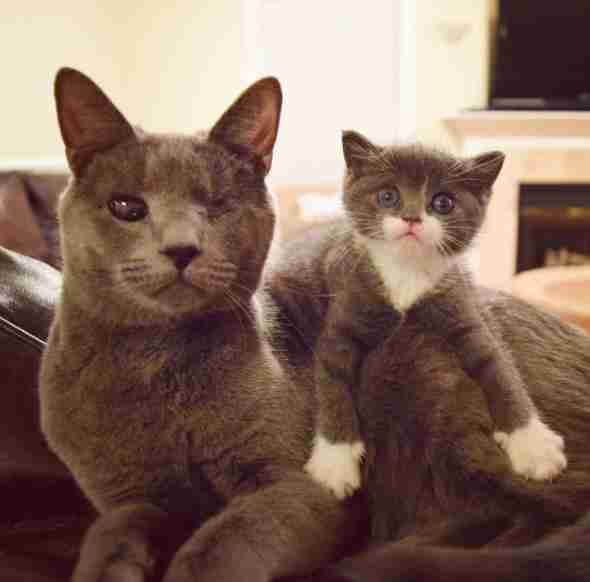 Kushi was always so sad when the kittens eventually had to leave, so his mom decided to adopt a companion for him - another one-eyed cat named Sunny Marz. "We knew Sunny, who is totally blind, would be a good fit, and I was interested in taking on a special needs cat," Hartman said. Sunny also had eye infections when she was a kitten, which caused her to go blind and lose one of her eyes. Because she was just like Kushi, Hartman knew she would fit in perfectly with their little family. Now, Suzie, Kushi and Sunny Marz all take care of the foster kittens their mom brings home, and they each have their own roles and duties. "Sunny Marz acts like the kittens' best friend," Hartman said. "I always say that she is like the cool, older cousin." Eight-month-old Sunny gets along with the kittens because she's just like a giant kitten herself - but she hates when Kushi treats her like one and tries to take care of her, too. She's much too independent for that. 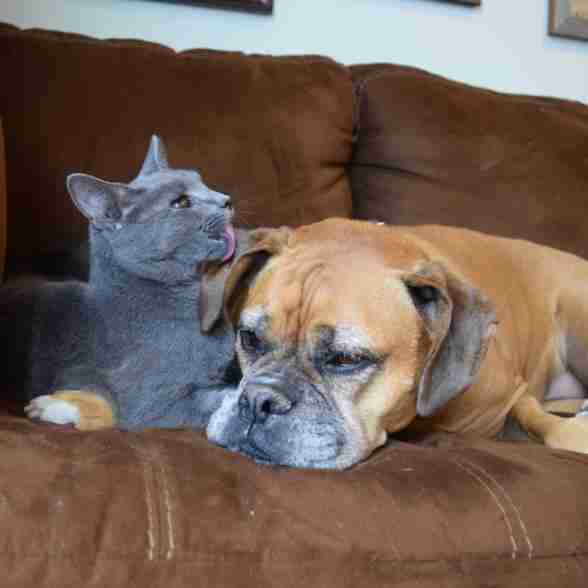 "Kushi is always grooming and caring for the kittens," she said. "He gets very upset if he hears them crying. He just wants everyone to be happy!" Kushi is now 1 year old now and absolutely adores taking care of all of the kittens, just like his big sister Suzie. He acts like their mother, and is always so sad to see them go, but luckily has two permanent siblings to hang out with whenever he wants. 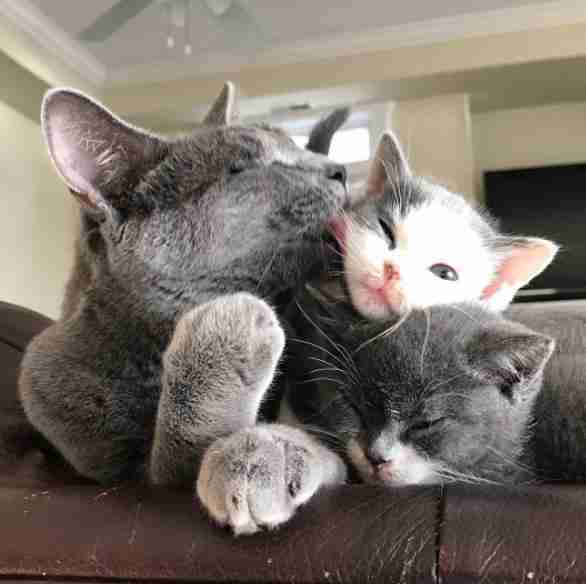 The three siblings are very close, all sleeping in the same bed at night, and while they love spending time together, they definitely prefer having lots of foster kittens around. "They have always been very accepting to the animals that I bring in," Hartman said. 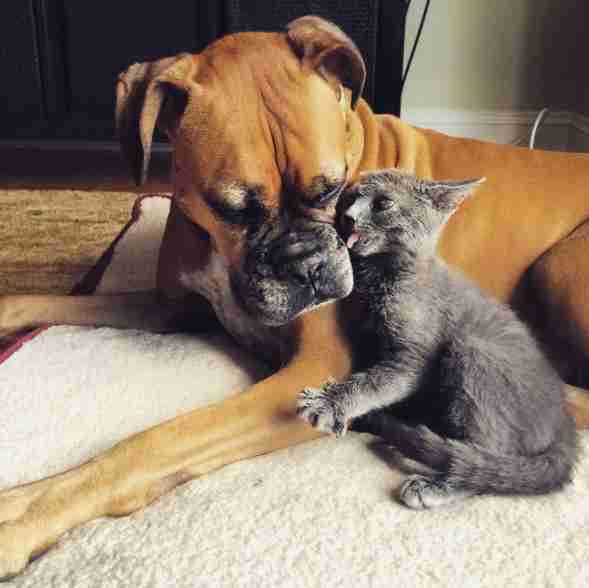 "Things are so quiet without kittens running around and I think they get a bit bored when it's just us!" You can follow these siblings and all of their adventures on their Instagram account.